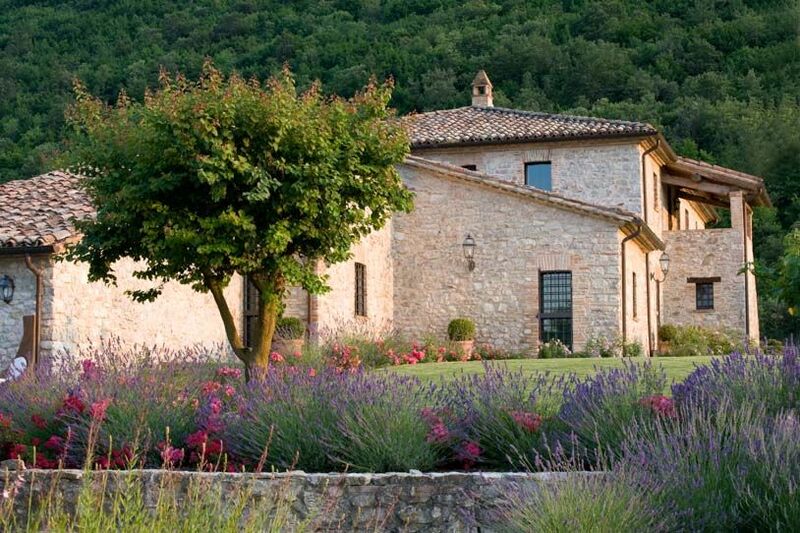 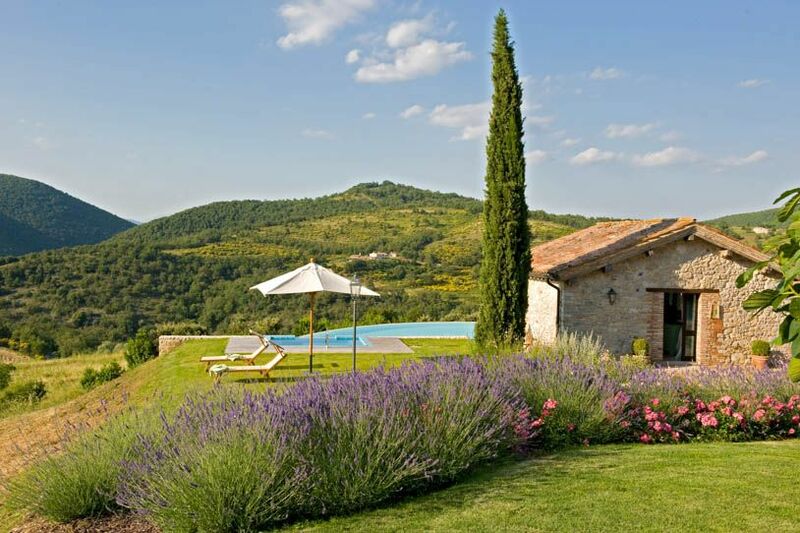 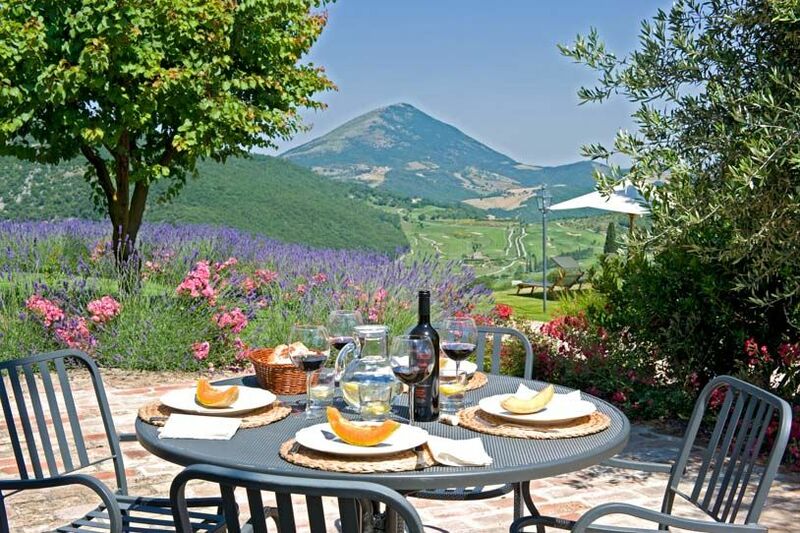 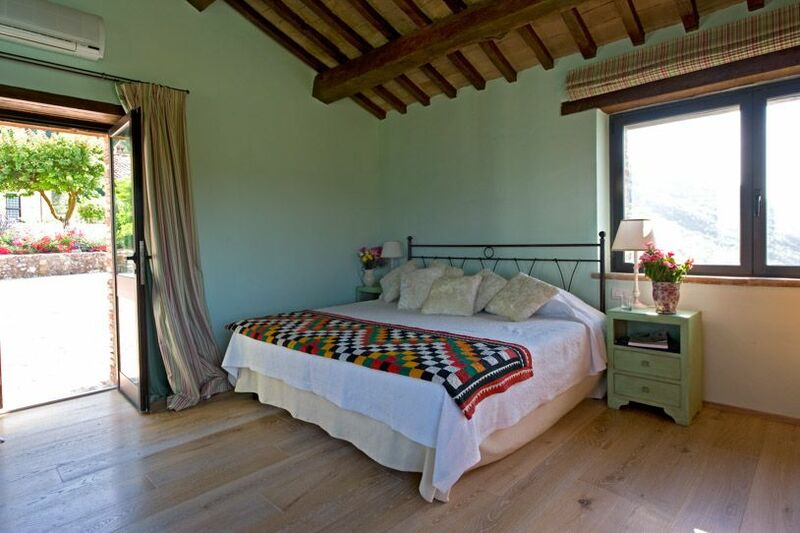 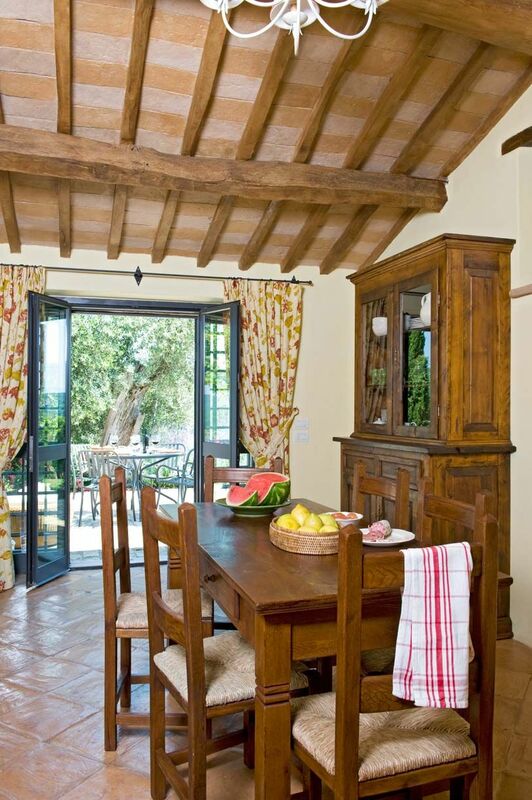 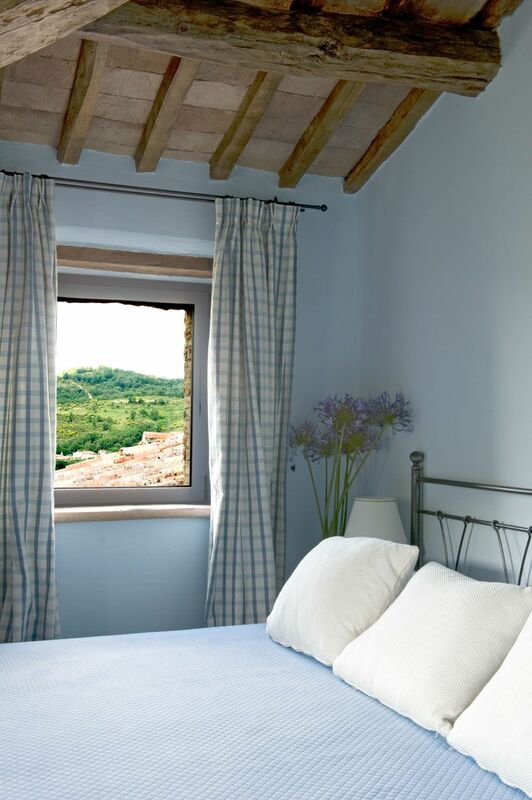 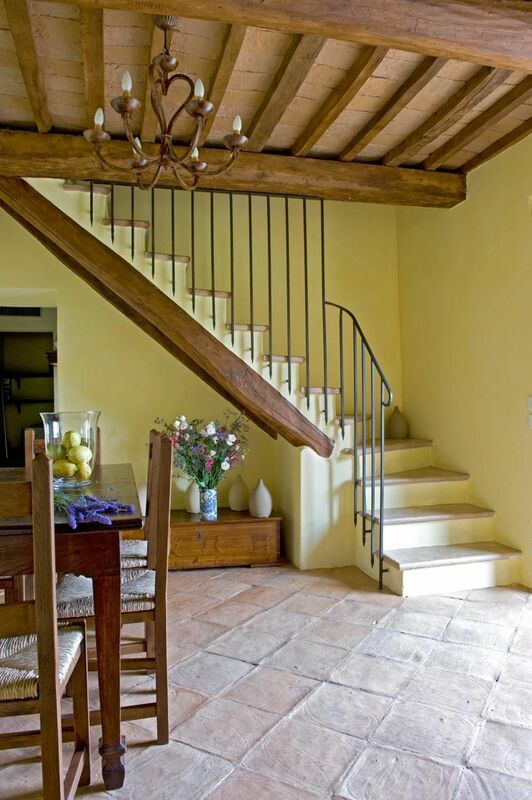 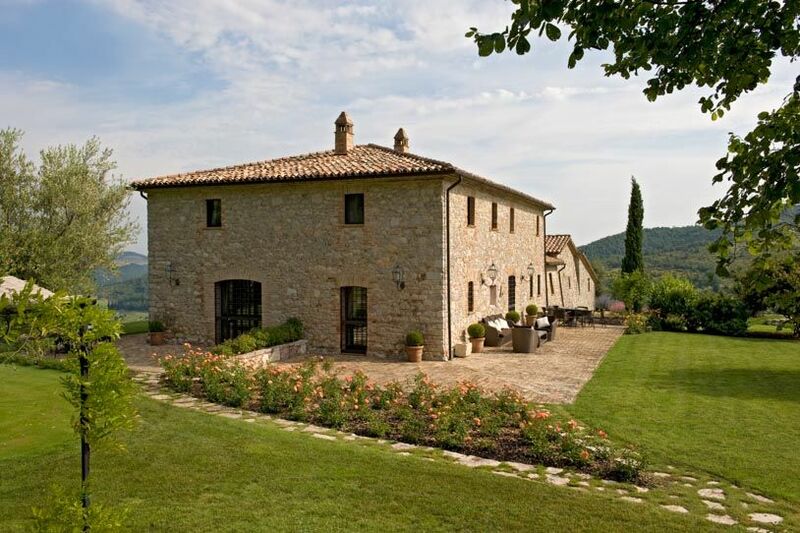 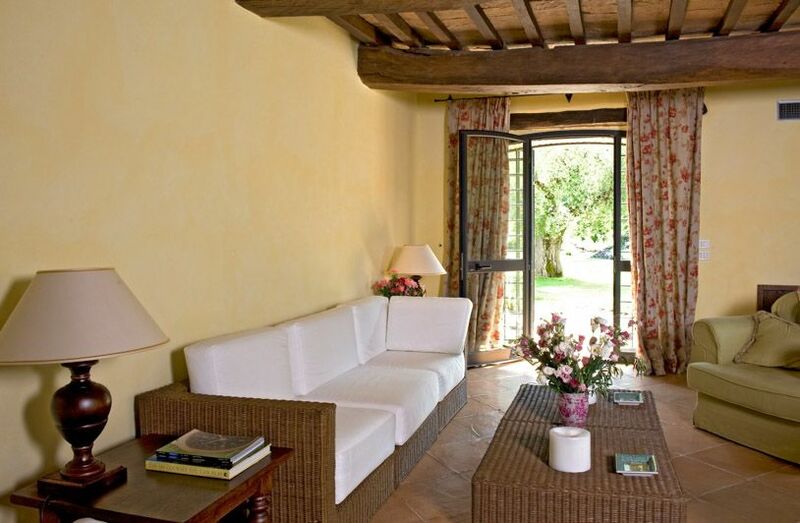 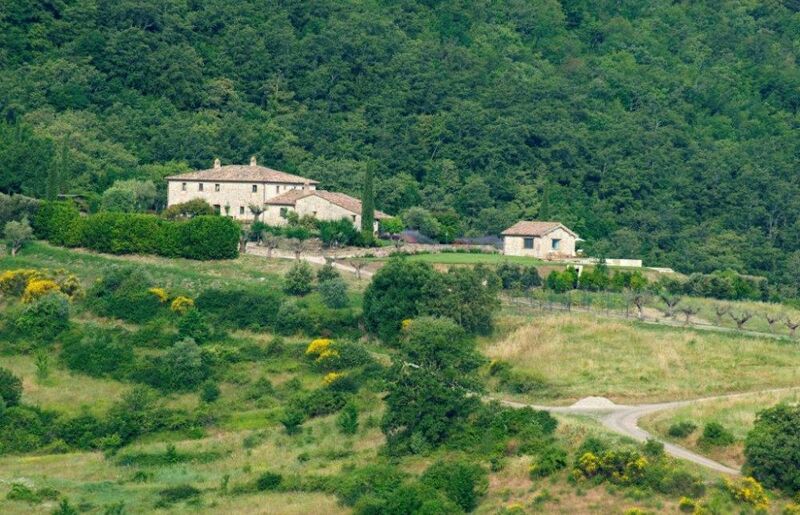 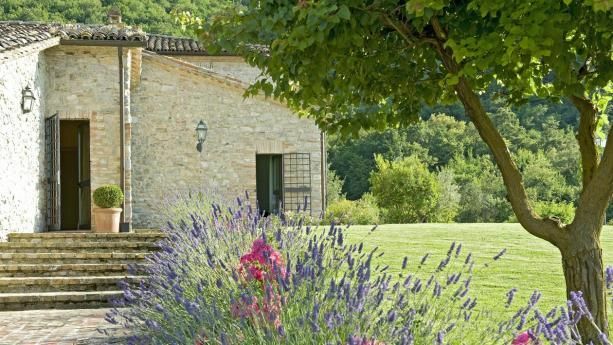 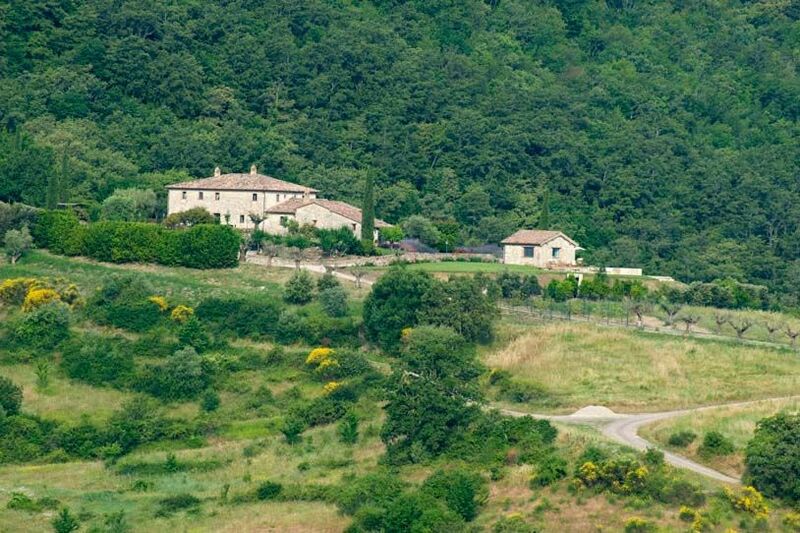 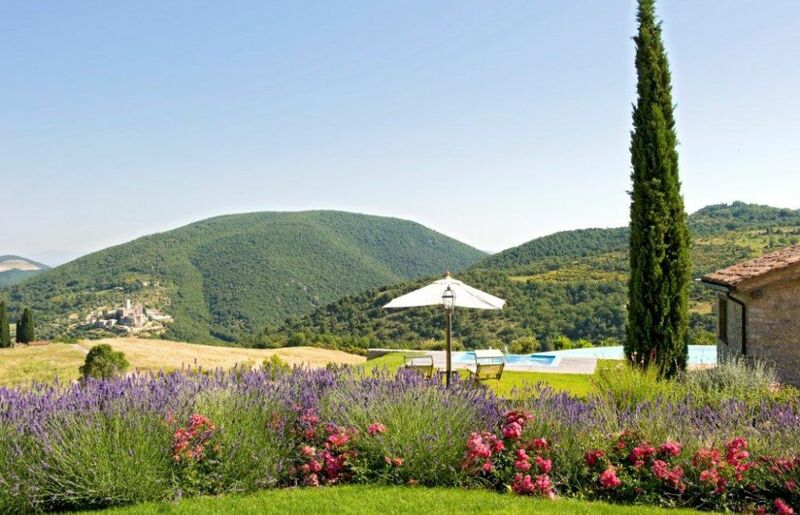 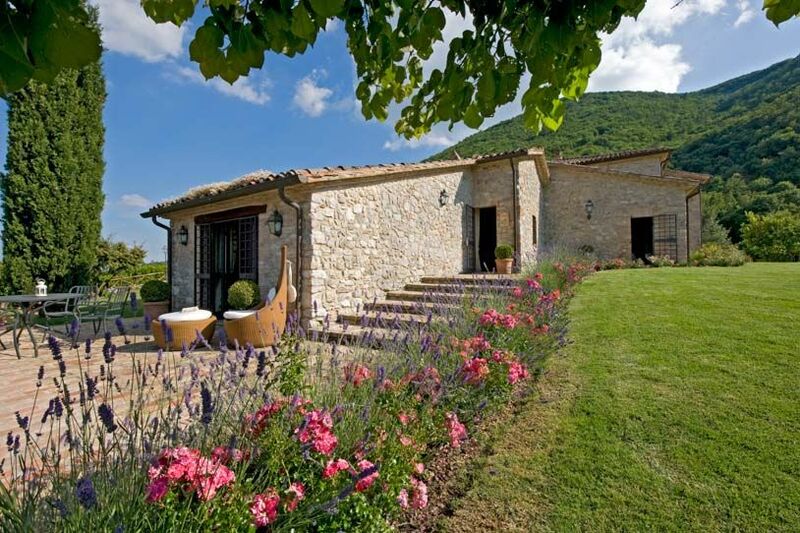 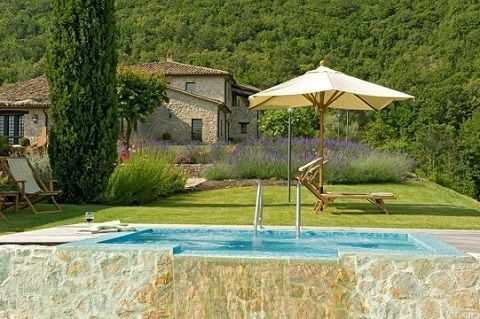 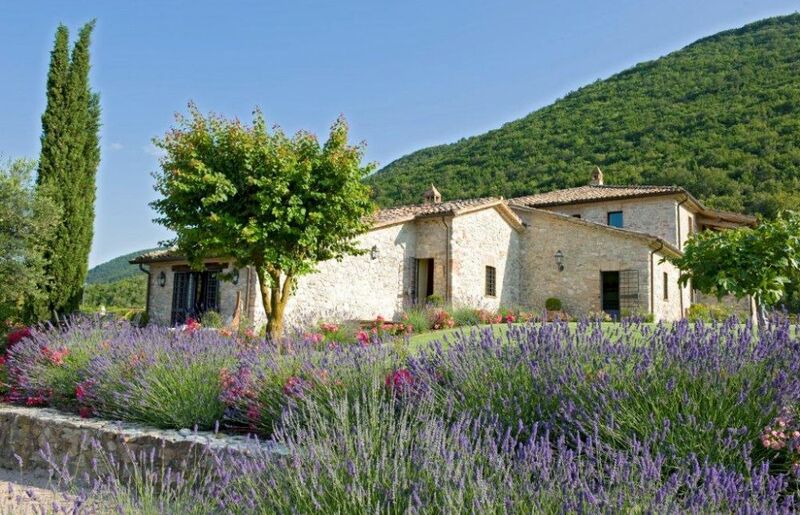 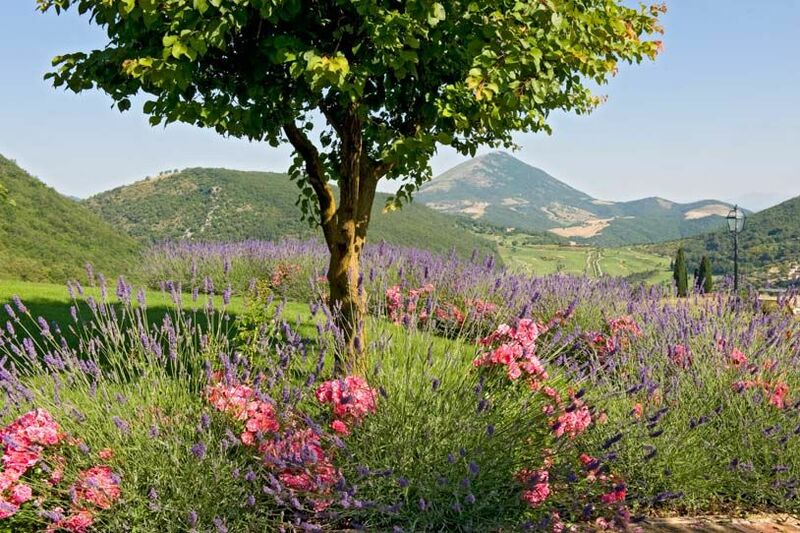 A beautiful 16th century farmhouse which perches on the crest of a hill between Tuscany and Umbria. 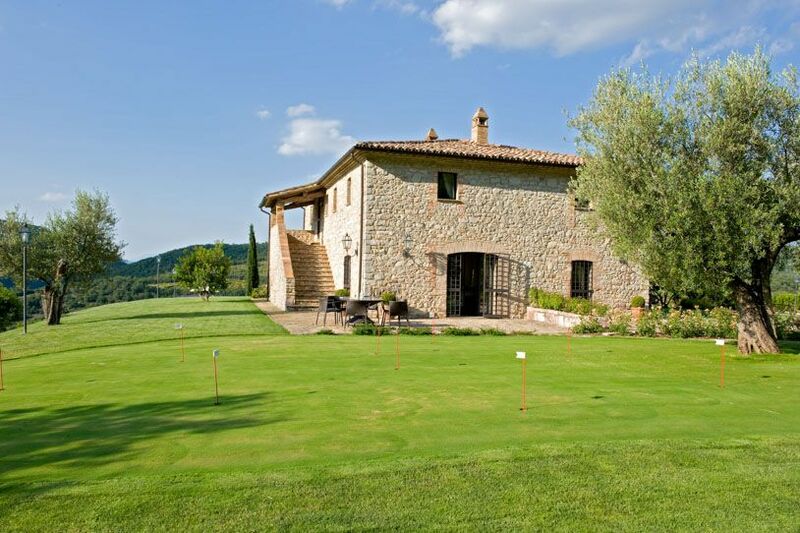 Villa Subtilia affords breathtaking views across the Medieval castle of Antognolla and its 18-hole championship golf course (Robert Trent Jones). 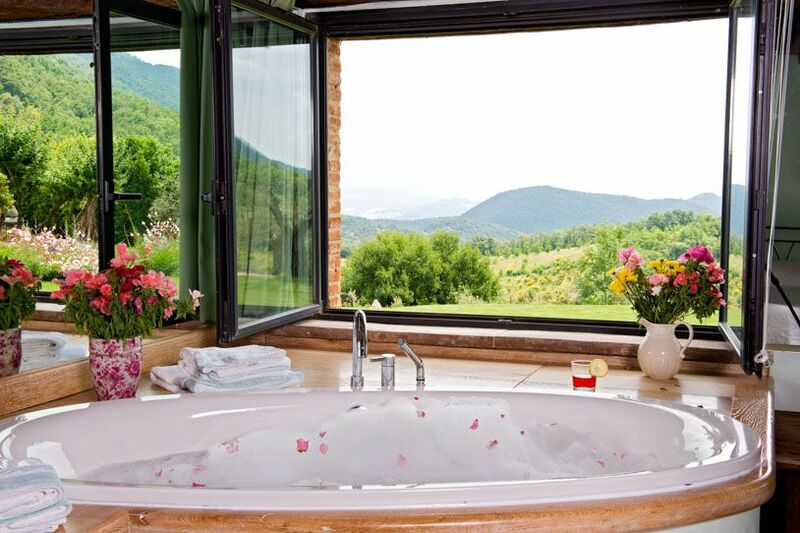 These spectacular views are particularly impressive from the large infinity pool, complete with Jacuzzi. 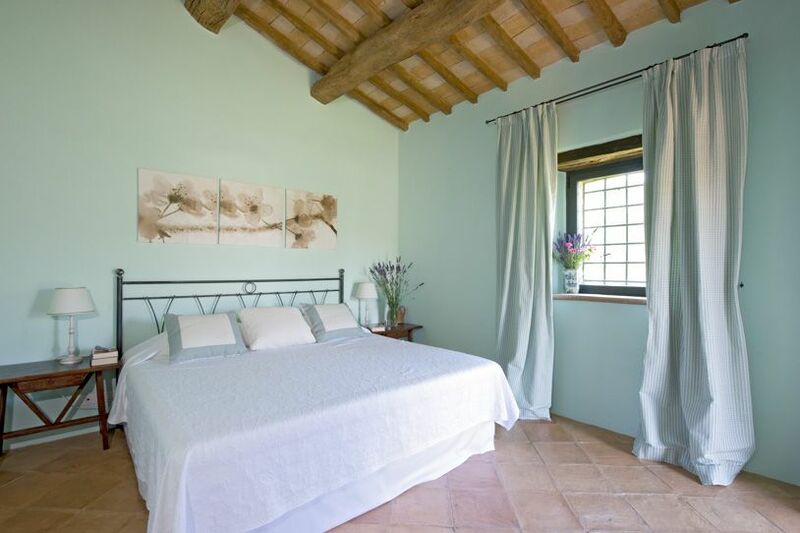 This wonderful nine-bedroom stone-built farmhouse has been fully restored and offers private accommodations in three apartments and a guest cottage, making it perfect for large families or groups of friends. 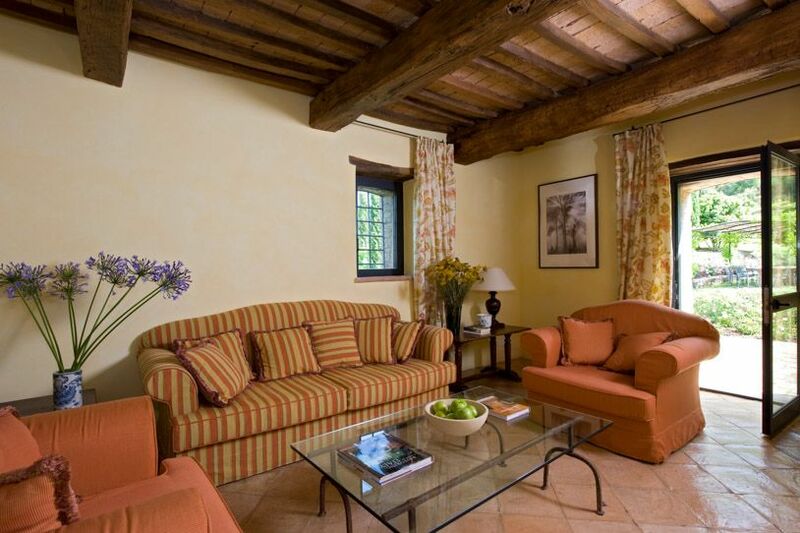 Tasteful, high standard interiors. 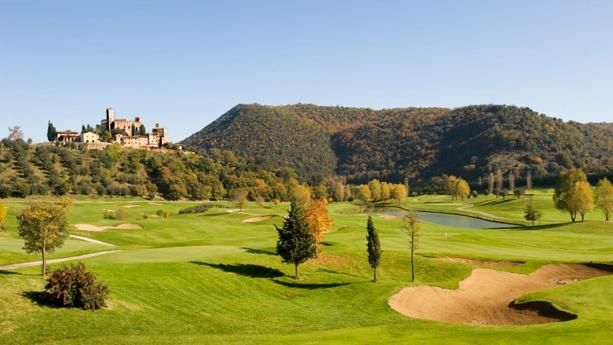 2 minute drive to golf and restaurant. 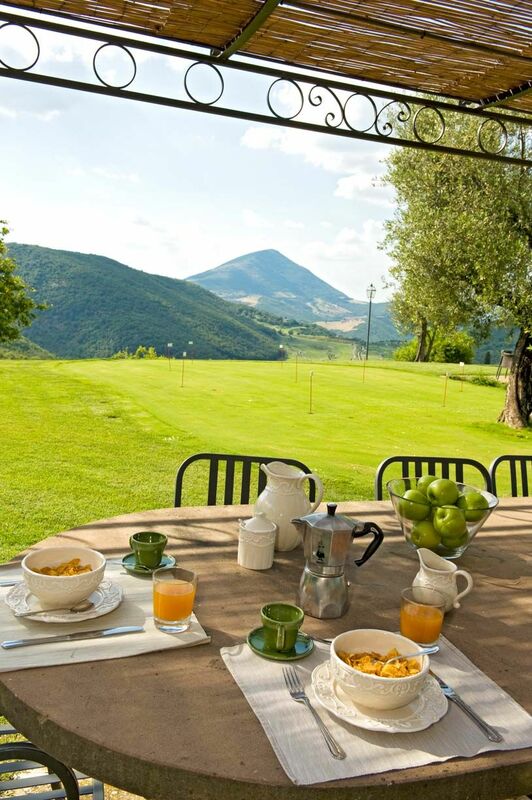 Putting green and table tennis on site. 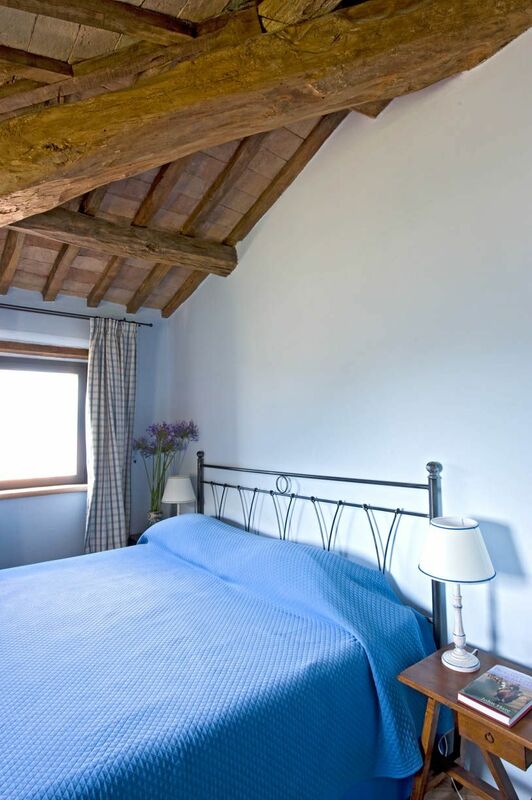 W-fi, air-con, heated pool.Hunting, fishing, hiking, cookery lessons and wine tasting available locally. 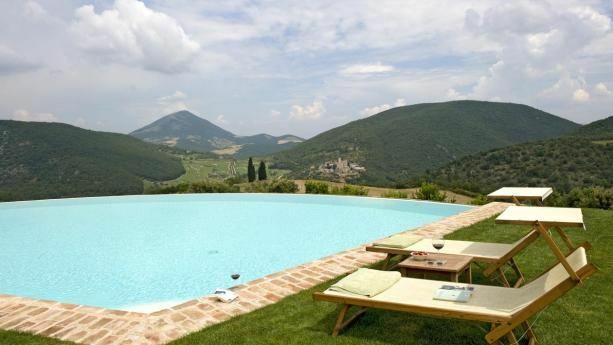 The villa is situated on a vast country estate owned by a Tuscan noble family - there are other villas on the estate but Villa Subtilia is independent and private. 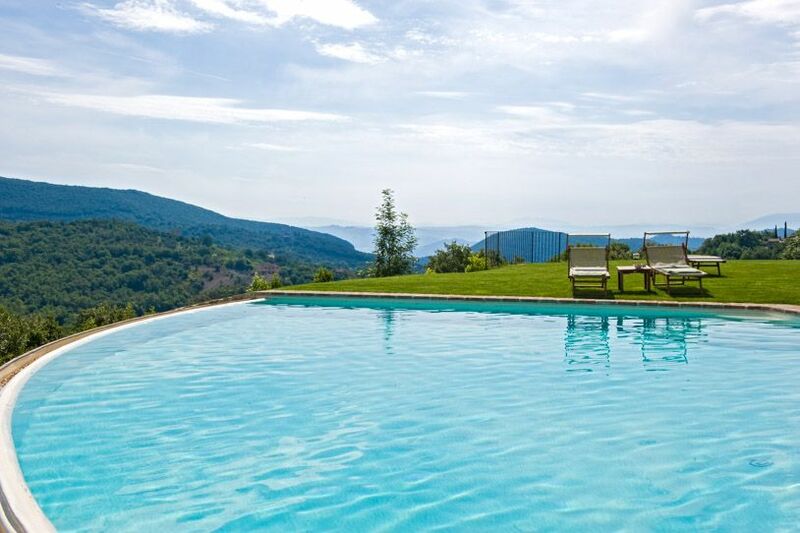 Pool heating is not included and is payable according to consumption. 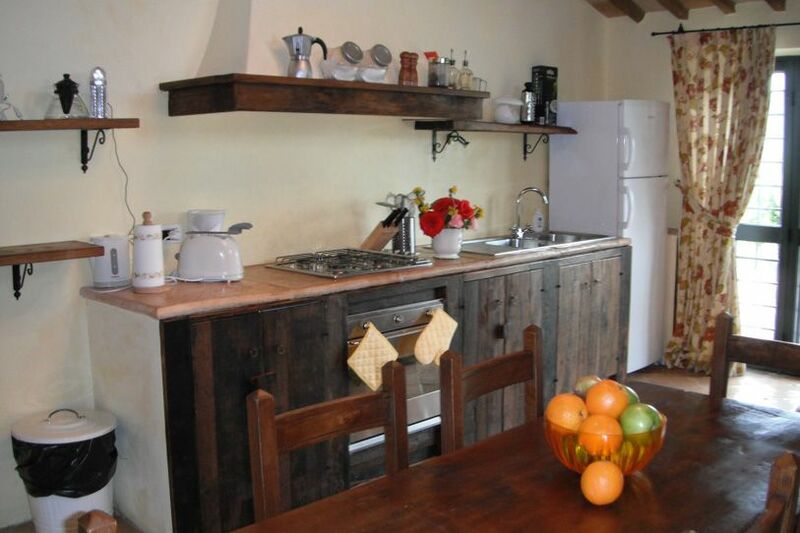 Price can vary from 150 Euro to 250 Euro per day depending on the outside temperature.